The Roman Catholic Archbishop of Sydney, Anthony Fisher, and Bishop David Cremlin have refused to distance the Church from the poker machine industry by confirming they will remain patrons of two of the biggest poker machine venues in Australia. “The Archbishop’s appointment as patron of Dooleys in Lidcombe is a historical one, like previous archbishops before him, and he has nothing to do with the running of the club. “Catholic Clubs, like all such similar establishments i.e RSLs and Rugby Leagues Clubs, operate on a not-for-profit basis with profits going into community grants or back into the club itself in the services it offers such as entertainment and subsidised meals. “As far as the Catholic Archdiocese of Sydney is aware Dooleys complies with the law, including those that aim to protect people from serious problems associated with gambling. 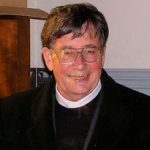 Last month michaelwest.com.au revealed the links between the Archbishop in a story which found DOOLEYS had racked up more than half a billion dollars from gamblers over the decade but had only returned a small fraction of these profits to the community. The following questions have now been put to the bishops. Their response, if one is forthcoming, will be published in due course. 1. Will the Archbishop and Bishop consider withdrawing their roles as patrons of DOOLEYS Lidcombe Catholic Club and Liverpool Catholic Club? 2. 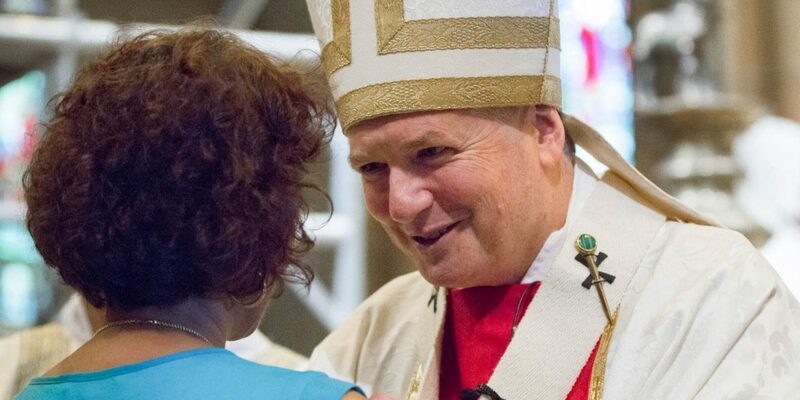 Will the Archbishop consider requesting the word “Catholic” be removed from Catholic Clubs? 3. Could the bishops please comment on the practice of clubs offering gamblers free alcohol? 4. With regards to your statement that profits from poker machines go “into community grants or back into the club itself in the services it offers”, our analysis shows poker machine revenue per member over ten years averaged $892. However, community support per member averaged just $21. Therefore, DOOLEYS Lidcombe Catholic Club took 42 times more than it gave back. Could the Archbishop please explain how such a low community dividend can be justified by the Church in light of the gross exploitation of the community? 5. DOOLEYS Lidcombe Catholic Club appears to be more aggressive than other clubs. An analysis of the accounts of Dee Why RSL and DOOLEYS shows revenue per poker machine at DOOLEYS is 56 per cent higher than Dee Why. Further, DOOLEYS has 576 poker machines and makes an annual profit of $75 million a year from poker machines alone. Its customers have lost $511 million over the past ten years playing poker machines at the Club. 6. Looking at poker machine revenue per member in 2017, DOOLEYS Lidcombe shows $967.70 while Dee Why comes in at $910.60. Revenue per member at Lidcombe is higher than Dee Why in every year since 2011. Dee Why’s statutory financials show 66 per cent of total revenue is pokies revenue whereas Lidcombe’s pokies revenue as a proportion of total revenue is substantially higher at 83.4 per cent. In light of these figures, could the Archbishop please explain why the Church is endorsing DOOLEYS Lidcombe Catholic Club? 6. Church groups, charities and government agencies spend considerable time and resources in addressing problem gambling. There are well documented cases of poker machine gamblers taking their own lives. What do the bishops have to say to those who devote their livest to helping problem gamblers; and to the families of problem gamblers in regards of the Church’s endorsement of these clubs? While the Catholic Church has opted for minimal engagement over the issue of poker machines, its charities – and the government via social security programs – are forced to commit substantial resources addressing the social misery and dislocation. This statement from St Vincent de Paul Society NSW. Vinnies NSW come across those with problematic gambling every day and in a range of circumstances. Often people who are struggling with the harms related to their gambling will come to Vinnies for other reasons caused or exacerbated by their gambling – they need help with their finances, relationship breakdowns, job loss, mental health or emotional concerns or with homelessness or issues around alcohol and other drugs. Unlike harmful use of some drugs, problematic gambling often ‘creeps up’ on people. Gambling, particularly on the pokies, is socially acceptable and problematic use is often hidden or not well recognised early enough. Gambling, particularly on machines, is targeted at those who can least afford it and at those for whom it will cause the greatest harm. These are people who are coming to our professional services and who are supported by our members. We would certainly welcome research and investment into more effective, evidence-based and integrated treatments for gambling use and better campaigns to assist in understanding the impacts of gambling on individuals, families and communities. michaelwest.com.au is preparing a report for the Alliance for Gambling Reform. The Alliance has picked up the bill for $1,840 in costs for searching the ASIC corporate database.